there was even a smile on Ground Captain John Walduck's dial. Onto the water with a light SW following wind to take us out of Recherché. Half way across to Eliza point the wind picked up to a delightful 15 to 20 knots with a 1 to 1.5 following swell. The Women on Water boat Imagine was experiencing a few difficulties with their new rig but soldiered on. 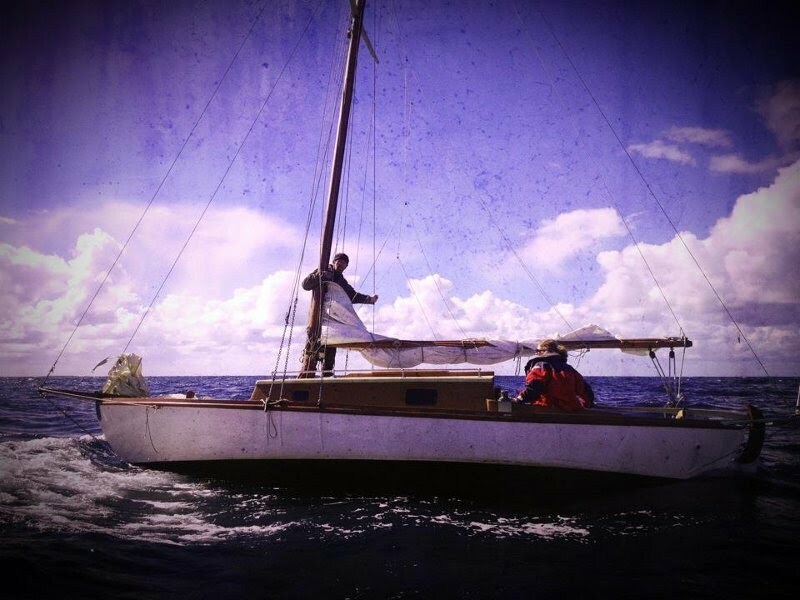 Just north of Eliza point Tweedledee the flighty Lazy E dinghy completed the first capsize of the Raid. Safety systems sprang into action with Rescue 1 on the scene to stand by while Fleetwing the adjacent " buddy boat " proceeded to the scene. Martin and Deb are old hands at this capsizing business and soon had Tweedledee righted and under way without any need for outside assistance. The rest of the voyage was uneventful, just beautiful sailing conditions in a truly magnificent location. We arrived at Southport beach adjacent to Jetty House the superb B& B run by Ros and Carl Wright which was to be our home for the next two nights. Camp went up smoothly, the bar opened early, all systems seemed to be running like a well oiled machine. A fine meal was served by the Chefs and we were entertained by the band , can't remember there name, and a fine evening was had by all. The daily award The Ros Barnett Perpetual was presented to Tweedledee for their attention seeking capsize.